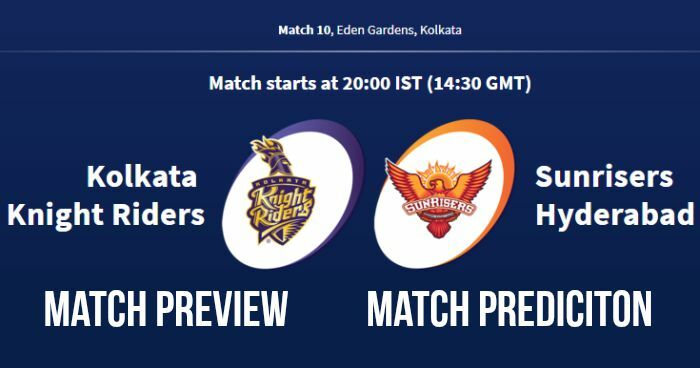 Home / Eden Gardens / IPL / IPL 11 / IPL 2018 / IPL 2018 Match Preview / Kolkata / Kolkata Knight Riders / Match Preview / Sunrisers Hyderabad / IPL 2018 Match 10 KKR vs SRH Match Prediction, Preview and Head to Head: Who Will Win? IPL 2018 Match 10 KKR vs SRH Match Prediction, Preview and Head to Head: Who Will Win? Kolkata Knight Riders (KKR) and Sunrisers Hyderabad (SRH) will play the 10th match of the 11th season of Indian Premier League (IPL 2018) on Saturday 14th April at Eden Garden, Kolkata. It is forecasted that there will be a thunderstorm and before the match; a delay and interference can see during the match or a rain-curtailed match. Generally Eden Garden sees huge humidity and high temperature during this time of year. One game has played at Eden Garden in this season, which has seen a 170+ scoring. The pitch has an even grass covering too. So that means the new ball will do its bit. It will be difficult for the spinners to bowl on this pitch. 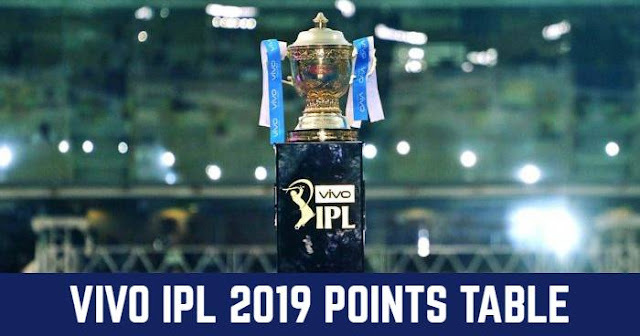 Sunrisers Hyderabad is sitting on the top of the IPL 2018 Points Table with two wins in 2 matches, while on the other hand, Kolkata Knight Riders are on 3rd place with two points; one win and loss in two matches. Sunrisers Hyderabad have played both games at home, this will be first time they will be out of fortress in this tournament. Indian pacer Vinay Kumar has been the most expensive bowler this season by giving 65 runs in 3.5 overs and taking 2 wickets in two matches. Vinay Kumar has chances to get replace by Indian U-19 Shivam Mavi. Bhuvneshwar Kumar is the face of the top Sunrisers Hyderabad bowling attack; he was out of playing XI in the last match against Mumbai Indians. If Bhuvi is fit he will be in playing XI and will be replacing Sandip Sharma. Kolkata Knight Riders and Sunrisers Hyderabad have met 12 times against each other, out of which 8 are won by Knight Riders and Sunrisers won 4 matches. In Last 6 matches, Kolkata has won 4 of them. At Eden Gardens, Kolkata Knight Riders have never lost against Sunrisers Hyderabad in 5 matches played at Kolkata. Kolkata Knight Riders are the most successful team against Sunrisers Hyderabad.